Mon-Tues, 11am-2:30pm & 4pm-12M; Wed, 11am-3pm & 4pm-12M; Thur-Fri, 11am-3pm & 4pm-2am; Sat, 10am-2am; Sun, 10am-12M. Location is nice - right on the water. They specialize in different types of guacamole.I always want to just get the most basic version. I find the interior too noisy but enjoy the deck. My fish tacos were delicious, service excellent, ambience fun and upbeat. Views are gorgeous with lots of strolling along the water or on nearby cobblestone streets. This Mexican restaurant has outside seating right on the water. 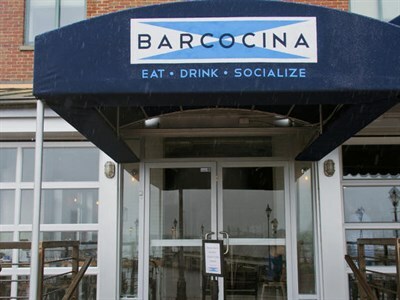 Great place to go if you are in Fells Point and the weather is nice.